I can’t remember my first mention or interaction with Adam Klagsbrun. 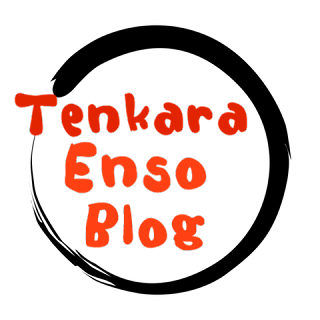 The Tenkara community is so large and I’ve been a part of it since its inception helping grow it through my own forums on it. Maybe a year ago I saw some of Adam’s posts on social media. His information was interesting and soon it began to grab my attention as he travelled to Japan and then on to Italy. From my research and visit to Japan, I know anglers that visit Japan, learn a tremendous amount about the environment that Tenkara came from. I know from my Interview with Ubierto Kaligarich and previous research into Pesca a Mosca Valsesiana that the Italian alpine fishing environment is an excellent choice as well as a great international travel destination for Tenkara anglers. Recently, I was able to sit down with Adam and talk about Tenkara. Our visit was filled with pleasant idle chit chat, the sort of friendly things you talk about in the presence of a new friend. I had brought a Dictaphone in order to record a verbal interview but in those moments, the Dictaphone stayed in it’s case, an “Interview” was far too invasive to our short time and I did not want to venture far from important conversations on our goal of fishing a couple of streams together and hanging out at the Tenkara USA 2015 Summit in Estes Park, Colorado. So I let go of that aspiration and settled in on just developing our friendship through an organic shared experience of exploring a new area together. The two of us shared a cabin, actually, Adam let me crash in the couch area of the small cabin. We had one evening and the early morning for fishing. Later that day, I was slated for fishing with Daniel Galhardo, Go Ishii, Yoshikazu Fujioka, Thomas Ferreira and Steve Conrad. My time in Colorado was a little busy with a lot of first meetings of people that I have known for years but had never meet in person. Adam and I had actually fished with Go Ishii in Japan. Our fishing that morning was on a small stream that paralleled the side of the road that lead to Glacier Creek trailhead. On the way up the canyon, it was lightly raining and there was a chill in the air. Between the clouds that shrouded the mountains, you could see the snow line had dropped well below the peaks. It was the middle of September and the Aspens where in full fall color. The mountain air was crisp, the stoke of fishing new streams was high. We pulled over and began to sample the boulder strewn stream that were overgrown with foliage. We both where into fish and Adam caught up with me in a small pool, we were in the zone together for a few minutes but I will remember that time for the rest of my life. Adam: Hey Adam, thanks for taking my request for an Interview. I think you will find the process easy and I’m sure you will contribute to the flow of it. I’m always impressed by the people I am drawn to that I have meet on the Internet. My wife for example, it was such a pleasure to finally meet her after so much writing together, then the telephone conversations and finally our meeting. Other anglers that I have shared time with on a forum, we meet on a stream or in the sea, sharing fishing time together after our virtual friendship, solidifying a real friendship by meeting, fishing together. Adam K: Adam, what a great time we had in Colorado! I too will always remember that morning - it was one of those mornings that leaves a lasting imprint to say the least. It is truly wonderful to be included in the list of incredibly knowledgeable and skilled fishermen who have been interviewed before me here. Speaking of which, it is through some of these great interviews and people that I discovered your site! I can’t remember the first time either, but when I started researching my trip to Japan last winter, I knew where to come back and start looking for more information. I joined up soon after that. I got into Tenkara some time in 2011 after reading a few articles about it via Ryan Jordan of BackpackingLIght.com, so I guess you could say I started my Tenkara journey on the internet. I came to it through my exploration in ultralight backpacking, a drive to reduce my pack weight, and therefore, to reduce the weight of my fishing gear. At first I wasn’t connected with many people in the community on facebook, and I didn’t realize how many people were out there fishing Tenkara at all – the early days for me circulated around the BackpackingLight community and what I saw there. I started with the Tenkara USA Iwana, a furled leader, 5x tippet and a few Kebari. I attempted to teach myself the methods, and began exploring videos, websites and blogs. Tenkara USA had some videos out, and that’s where I began. It was really amazing the way Daniel put together so much content for us all to use and learn from. I really loved that… I still watch some of those videos when I can’t be out on the water. At the same time, Tenkara seemed to be really catching on all around me – and as I began to connect the dots, guys like Anthony Naples, Chris Stewart, Jason Klass and Tom Davis became inspirations and new sources of information. I began to follow blogs, and as I learned more, my fishing skills began to improve. I began to understand what fishing sub-surface was all about. I began to focus more on the river, to learn where the fish were, and to have more fun fishing overall. But a real change came for me when I discovered a blog that wasn’t related to Tenkara at all – small stream reflections blog, authored by Alan Petrucci. Alan is an old school fly fisherman. I don’t know him well, and our email interactions have been limited to a few questions and some custom fly orders, but I always learn something new. Alan’s flies are just absolutely beautiful and he knows how to keep his words and photos concise. I was taken by his blog… but especially by his ability to consistently produce photos of native brook trout all over Connecticut. That was something that I struggled to do myself back in New York. I set a goal for myself to learn how to do what he did, using Tenkara. Around the same time, I was starting to write more. I contributed a few articles to BackpackingLight.com – the first on Ultralight Backpacking alone, but the second featuring Tenkara as a central theme of the article. 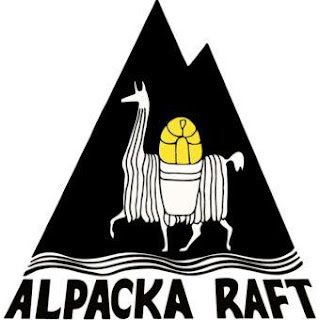 Ultimately, this gave me the confidence to begin publishing the journal reports I was keeping on my trips as my own blog, and last fall, I began Rock & Riffle - the culmination of 3 years of learning from others, and I finally felt like I had my own take on Tenkara to share with the community. It’s nice that you came to us from that direction, I dig it. Adam K: This last year has been one of the most exciting years of my life when it comes to fishing. I was fortunate enough to be able to travel to Japan, Italy and around the United States to fish Tenkara and meet other members of the community. It has been incredibly rewarding all around. Some of these people I had met previously online, like you. Others I had not known previously. But the consistent thing about my experiences was how friendly, helpful and accepting the community has been overall. When travelling the world, you don’t really know what to expect… there are a lot of variables and things that can go wrong. With that comes some level of anxiety that can stand to get in the way of having a good experience. Yet everywhere I went, I was met with a warm welcome, open hearts and minds, and a willingness to embrace a foreigner… based solely on a few encouraging words exchanged from a thousand miles away, or more. This is no small feat, and something for this community to be proud of. We are a group of people who help each other, who see benefit to working together instead of in competition; and in return, we see the popularity of Tenkara beginning to blossom all around us. This is a promising thing! Adam: Currently, my take from the online aspect of the community is that Tenkara is becoming just another form of fly fishing. I am not really a fan of that for the growth aspect of our sport. I don’t want to see it homogenized, I think it is best when it stands on its own, as its own discipline. There is still a lot of animosity towards Tenkara in the fly fishing community. Becoming like fly fishing is not something that I want Tenkara to gravitate to. The way it was presented to us by Tenkara USA was real but it was only a small aspect of what Tenkara can hold for the masses. It is a form of fly fishing but it is more of a discipline, a practice of limitation. Sure, you can carry four rods, many fly boxes, your lunch, a net and blah blah blah all the accoutrements that you would in fly fishing, I’ve recently seen that some Tenkara anglers carry MORE than most fly fishermen on the stream. But at Tenkara’s core is a focused limitation in Rod | Line | Fly. I think we can all agree on that. As far as the media goes and how Tenkara is represented, I really enjoy “Tenkara” the magazine but I want more, I want it at least four times per year. The Internet is nice and I enjoy the blogs yet I want a magazine, something tangible, a written history that I can put on my shelf and pull it out and take a look at the path we took but again, a single magazine is the editor’s version of Tenkara. It’s a conundrum, “what is Tenkara?” There are as many versions as there are anglers that practice it. Adam K: That’s a great question… but it’s a hard one to answer, too! To speak to some of the first points you made, above…. Some people are more on the minimalist side, whereas others, like you point out, often carry more stuff. I find myself in both categories quite often, and that can depend on many factors. I take a very minimalist kit when backpacking, for example. But when I’m there to fish specifically, minimalism in terms of what I carry isn’t really on my mind. I tend to fill a Zimmerbuilt guide sling to the brim… lunch, a spare layer, a water filter and bottle, a fly box, headlamp, neck gaiter, net and at least 2 rods. Sometimes more. I’m hiking to my fishing spots often, and beyond that, I’m usually out for the whole day when I fish… I treat it like a hike, and bring the same kinds of items as part of my routine. While some people have focused intensely on their style of overhand casting, or, say on their ability to present flies delicately, fly-first, I have tried to focus more on applying minimalism in technique – I’m looking to get a fly to where I think the fish are as quickly and covertly as possible, and then I want to move on. The less casting, the better, IMHO. It’s like playing a game in some ways… traditional casting is just one move. There are many to choose from. My favorite is the slingshot, or bow and arrow cast. It allows me to simplify casting to a point where snags are almost not even an option and you think more about getting the fly to a specific place quickly than the process of getting it there in and of itself. I find that liberating. It may also be seen as a bit lazy. I hope that’s not the case though. To me, the minimalism applies to what I’m doing. I want to remove complications from my fishing experience. I don’t use indicators, and would never rig up a dropper setup, for example. I just see these as things that would get in the way. I just want to get my fly to where I think the fish are, and I happen to find that some form of Tenkara fishing seems to be the best way to do that. It’s the community, and the access to quality equipment that defines us right now. We are so lucky to have sources like Tenkarabum and Tenkara USA. We are also lucky to have access to each other, the will to share the knowledge, and the people to create the content and get it out there for everyone to see and be inspired by. Adam K: This one is a bit of a complicated answer, but in true form for me, I won’t treat it delicately. Tenkara has a definition, but I feel as though it is not mine to interpret directly. From what I’ve learned here and in Japan, Tenkara is defined by fishing with flies, in tumbling mountain streams, most of which are not very wide; with a long, soft-action rod and a (usually) soft-hackle sub-surface fly. Most of the rods have cork handles. Most of the time, you aren’t fishing with a line much longer than the rod. Tenkara is about efficiency and control of your rig. Tenkara is different from Keiryu, Honryu and Seiryu. But I think here in the states we’ve kind of lumped everything into the “Tenkara” category more recently. Some companies, like Patagonia for example, take advantage of that. They kind of throw together a bunch of different things from different styles of fishing – Tenkara, Valsesiana, Western fly-fishing… and they throw it in a kit and slap the name “Tenkara” on it. As much as I love Patagonia (and buy their clothing) I can’t get behind that at all. I don’t appreciate the idea that you just call everything “Tenkara,” because the rod is a fixed line rod that telescopes. At the same time, I recognize the realities of marketing and the value of getting more people into fly-fishing in general… so, there’s that. Circling back to what you mention above, about Tenkara becoming more like western fishing… we couldn’t agree more there. So in this way, I think what Patagonia has done with their marketing can stand to dilute the definition of Tenkara. They are selling a product that intends to blur the lines between what already exists in the market (western rigs) and Tenkara. But as it stands, that in and of it self, is not a bad thing. I don’t think this approach adds to the Tenkara community… but I also don’t see their products as bad, or as harmful to fishing. In fact, quite the opposite, it’s a great product with its own appeal and market. I like the idea of simple fly-fishing. But I’m also a guy who believes in calling a spade a spade. But it would be ignorant of me to really judge based on this simple opinion… because, at the same time, I can’t ignore the legacy of fishermen such as Yuzo Sebata, who you are lucky enough to know yourself. Some might say his setup and the kind of line he prefers don’t fit a “traditional Tenkara” definition… and yet, certainly, Sebata represents the first generation and is one of the most storied and accomplished Tenkara anglers we know of today, no? And so my mind remains open overall, and by no means am I, personally, a Tenkara purist. Some days I’ll be casting a cork-handled Tenkara rod and a Sakasa Kebari. Other days I’ll be using my Keiryu rod and a bead head fly. Sometimes, where its legal, I’ll collect insects as I go and use them on a beaded hook I created to avoid the use of splitshot. So just as in reality many people like me seem to be constantly experimenting, mixing styles and equipment… so is “Tenkara” in the USA evolving from what the original definition of Tenkara actually was in Japan into something different. I imagine there will always, rightfully be a discussion about what is and what is not actually “Tenkara.” Sometimes I wince at myself when I say I’m fishing Tenkara yet I’m holding a Keiryu rod. But I don’t want to limit myself in terms of gear, and I don’t think that I have seen the evidence that Tenkara, in what I would call its “purist” form, is the most effective method of fishing every type of water either. It is clearly more suited to certain conditions than others. That being said, you can fish Tenkara pretty much anywhere, for pretty much any species of fish. So I think there is in fact plenty of room for interpretation. Each fisherman creates their own set of guidelines, and so far that seems just fine to me! Adam: My take on it? Tenkara is Japanese style fly fishing that can be described as “mountain stream fishing with a rod, line and fly” That would be my definition but certainly it is not limited to my description. Others will come up with variations and their own twist on it but I’m pretty sure that all participants will agree that Tenkara was born of this. In my practice, Tenkara has replaced fly fishing in my favorite zone. Plain and simple, it is more efficient, it isn’t more fun, there is more of a direct connection to the fly and that is my method, I’m a fly angler. 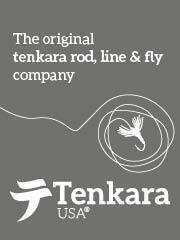 Fly angling, I believe Tenkara equipment is all that and more AND less. Certainly practicing Tenkara in the mountain stream full time has my attention and focus. As I fish larger streams further down the mountain, I am reminded of Tenkara’s limitation but I continue on with it. The rods become longer and heavier as my choice of lines do as well. That direct connection is still there and I’m pushing towards larger water and larger fish but I’m still focused on the smaller waters. It’s that focus that has kept me from venturing into Marble Canyon and the Colorado River. Adam K: I think we definitely share a love for small-stream fishing. I’ve spent the majority of my fishing time on small streams, and so I feel comfortable around them for many reasons. I think it goes deeper than just fishing. I have a lot of happy memories of childhood related to exploring small bodies of water, not just small streams. But hiking along them as a child left an imprint in my mind and it will always be a happy place for me, so to speak. While I do spend the majority of my time fishing small streams, there are a few larger rivers that I really do like to fish. They are still relatively small as rivers go… The west branch of the Ausable river in the Adirondack Mountains is a magical place, even with stocked fish and no shortage of anglers on any given day. The Farmington River in Connecticut is fast becoming a favorite of mine, even though it doesn’t tumble down the mountain as some of my favorites do. And I can’t but help being drawn back to the Willowemoc in the Catskills now and again, even though it isn’t shrouded in mystery as it once was for me years ago. I once fished these rivers only with Western gear, but now I fish them with a Tenkara rod. Sometimes I’ll even use a longer line for water like this, but its only for some extra reach. What’s really important for me is that I have the right rod when I go for bigger water. With heavier, faster current and the chance at some bigger fish, I find that having something that resembles a Honryu rod, or a nice long Keiryu rod with some good backbone can do the trick. Landing bigger fish in faster water takes not only more skill, but also different tools than what I’m used to on the small streams. I’ve recently been exploring this side of Tenkara more, and am intrigued to compare rods like the new Oni Honryu with those I’m already more familiar with. I’m glad we have access to the ideas of fishermen like Masami & Dr. Ishigaki to look at for technique, proper practices and guidance! Adam: I research Tenkara through the help of many Japanese friends. They help me understand the old and new techniques through their experiences and by interpreting, translating the Japanese books on Tenkara. I have dozens of books on the subject and from what I have seen, I have years of books and study to go. It’s interesting, I’ve heard some prominent (blog) Tenkara anglers in America say that they wonder just how long the appeal can last, they are running out of things to do with it. My look into Tenkara is the opposite. It has depth and because of the minimal equipment and the interpretation of Tenkara, I see myself interested in studying it for many more years, at least a couple of times longer than I have been into it and what? I think I’m on my sixth season. But I don’t think you have to study it in order to be good at Tenkara. Fishing is interpretable. That quote, “Although fish are important to fishing, catching them is not” rings true with me. I go fishing to catch fish but really what I’m after is having a good experience in the outdoors. I rarely get “bouz” or skunked (not catch a fish) during the day. I have had zero days with Tenkara but they are far less than fly fishing and those days are few and far between. Tenkara in itself is effective and knowing the history or a myriad of techniques just isn’t necessary. You can replace a fly rod with a Tenkara rod and you are all set. If you are a beginner, the minimalism tends to lend itself to simplicity and not spending a lot of time on choices, your fly is in the water and the heavy line is not dragging the fly and typically, new anglers to Tenkara catch a lot more fish than say a new angler to western fly rodding. Adam K: Ha! Frankly, I’m almost embarrassed to answer this question honestly… I think most people would call me totally insane if they knew how much time I spent online researching gear, methodology, history and blogs. Call it some kind of obsession. I get really into my interests and have a yearning to understand things on all levels – I want to be able to see the big picture and the small pictures simultaneously. I believe there’s a link between this and my love of fishing… it’s the same kind of “pseudo-addiction” that I can’t explain, but just love. I’m all-in. I probably spend the most time researching fishing locations. I love choosing blue lines on the map, comparing them to google earth, searching for any records of them online… I try to see if others have fished them, written about them, commented about them, etc. What I really want to find is a location that I can’t find anything on. That’s when I get most excited and then that place immediately goes to the top of my running list of new spots to explore. Beyond that, I spend a ton of time on different blogs, I still frequent BackpackingLight quite often, and so I am pretty active online. Yet overall, I try to spend more time outdoors than online. To me, ultimately its about fishing and hiking, being outside… not about being on the computer or going to meetings/social events inside. Adam: I’ve asked you for a short bio in order to get the background on you. We have accelerated our friendship, our differences in age and our background is quite different. I’m sure there are some similarities but I would rather find out about them here as many people will. Adam K: When I was a kid everyone said I’d be a lawyer one day. But that didn’t happen (at least not yet!) I thought I wanted to go into the music business, but once there, that didn’t work out for so many reasons… and so one night while discussing my next move with a close friend, I had one of those “aha” moments. Having gotten into wine and realizing it was intriguing on many levels, I surmised that there would be a career path involving wine, and that I must at least follow up on that idea. It turns out the bottle I was drinking was distributed by a company one town over from where I was living at the time. Naturally I gave them a call… a couple of weeks later I found myself employed in their office with the goal of making it onto the sales team. I set out to learn the ins and outs of the wine business, while increasing my knowledge of wine itself, and improving my palate as well. Not long after I was hired onto the sales team and built a new territory within Westchester County, NY. Sales felt like a good fit, and I spent the next year and a half building that up. As soon as a territory became available in the city, I jumped on it and moved to Brooklyn. As the saying goes, “the rest is history” and here we are 9 years after leaving the music business, and I haven’t looked back. Wine is a great field and there are many different kinds of jobs and skills involved. The people I’ve met have been so interesting and dedicated. And working in wine has also more recently given me the opportunity to really grow my Tenkara experience to levels I had never even imagined. The wine business takes me to beautiful places around the world for work, where I have also been able to meet other Tenkara anglers, fish with them, and see their ways of life. These experiences have been more valuable than I ever could have imagined, and I cannot be thankful enough for the opportunities I’ve had this past year to visit Japan and Italy, widening my perspective and opening doors for me that I would never have walked through otherwise. Beyond that, I’m hugely into backpacking, have spent a lot of time mountain biking, and generally just enjoy being outdoors as much as possible. I’ve had a nice side-hobby working on vintage 2-stroke engines and riding/restoring old mopeds, but my free-time is allocated more to escaping the city than staying in it these days, so I’ve kind of let that hobby slide as I’m getting older. Adam: I’ve traveled a little bit with my fishing. I’ve fished across America with Tenkara, mostly out West in Colorado, Arizona, a little in New Mexico and over to Tennessee, Arkansas and on to Japan. The allure of travel with Tenkara fishing is strong. Travelling with the equipment as carry on is so easy. My rod case has quite a number of flights on it already. In comparing and contrasting Tenkara water, I must confess, Japan is only second to Colorado. I love Japan and her people, I love that Tenkara is from Japan and I will return to her soon to sample more yet Colorado is the place, the focus of my attention. Each year I fish Colorado, I realize that it is a place that has more smaller streams and bigger fish higher in the mountains and more variety and enough of the specialized water that I want. I can drive right up to a beautiful stream and hop out of the car and be fishing in 10 minutes or I can hike for hours up an alpine valley, climb up boulder strewn canyon, it’s all there and as easy or as hard as I want to make it and such a variety of sizes and fish. Colorado is my Tenkara home area, that’s where I want to be. Adam K: It's funny that you say that about Colorado, because my recent experiences there during the Tenkara Summit left me stunned, to say the least. I was so enthralled by my experiences there that the short answer for the moment is actually also Colorado. I hope to be able to make some changes in my life to allow me to be there more going forward! Fishing Japan was almost unreal. The gorges and the color of the water were like nothing I’d seen before. The cultural experiences were life-changing and spellbinding, to say the least. Yet I felt like the best part of fishing in Japan was the hanging out… the wonderful people, the cabins and the grilling, the drinking of wonderful sake and the consumption of interesting foods in the mountains; this, coupled with heated toilet seats at the Japanese campsites was just overwhelmingly fun, and who wouldn’t want to say, “Japan” when answering that question!? But when it came to actually fishing, I couldn’t help but to be just slightly disappointed with the state of the fisheries and what I learned about the lack of Catch & release waters. Daniel maybe put it best in his recent podcast about traveling to Japan, and I’d recommend giving that a listen. On the day before I had arrived in Nara prefecture in March, the beginning of the season, and if I’m correct about what I heard when the guys translated for me… over 800 fishermen had visited the local waters we were to fish, bought licenses and come in to chat. Even if only half of those people had fished, and each kept only 5 fish… well, you can do the math. And there was an entire wall at the local fishing collective office with the fishermen who caught the most fish per day… some were in the hundreds. And I was told they didn’t release any of those fish. Ouch. So it’s a competition to catch and kill as many fish as you can in Japan. That made for a hard pill to swallow, at least coming from my background. I think everyone should try to go to Japan, but not only for fishing. Japan has so much more to offer and the culture is absolutely fascinating. The food is beyond anything I’ve ever experienced, and the hospitality cannot be beat. It is a life-changing experience, to say the least. Then, in July, I went to Italy and discovered another incredible mountainous region in Cuneo in the Italian Alps. Again I was able to connect with people from the community online in order to visit and experience Tenkara the way the locals do it. I was welcomed into the homes of my hosts and taken to fish both public and private waters. This trip was so much more than I had expected… I was able to fish high-mountain waters that held sizable fish while surrounded by epic alpine landscapes. This was a first for me, living at sea level in New York my whole life. This was nothing like the Adirondacks or the White Mountains and I kept literally pinching myself to make sure it was all actually real. As much as I loved traveling all around this year, I always feel more at home on US soil. I don’t think it’s likely I’ll up and move to a foreign country any time soon, even though I might love it. Where I want to be isn’t a place, it’s a state of mind… and that state of mind occurs in the mountains, on a stream, away from the noise of the road and the hum of city living. I’ve learned that I can find this place anywhere, if I try. Adam: You have fished around the world, particularly in the mountains. I think that is a fantastic pursuit. I love the mountains and I have hiked in many around the world but you have too and fishing them? Adam K: I’m so happy you asked that question, its something I’ve been thinking about a lot recently! 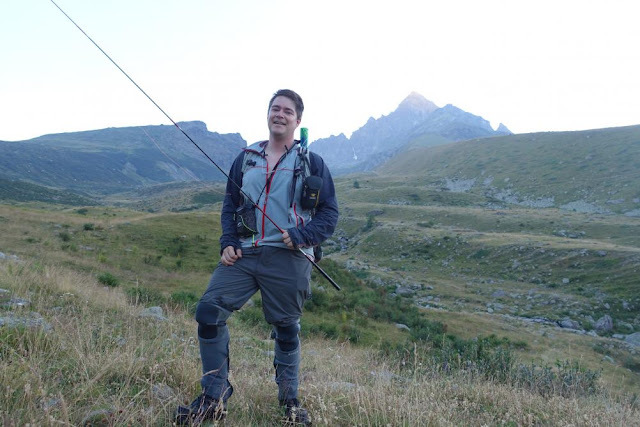 Mountain fishing around the world is actually eerily similar, region-to-region. Sure, the color of the rock or the water may differ slightly, and the height of the peaks is not always the same. The languages spoken are certainly quite different… Yet mountain streams flow the same way around the world. Every mountainous region has its big-boulder-strewn streams, its meandering meadow streams and the fast, tumbling waterfalls where the terrain is most steep. The water is always cold and clear, and the same flies, equipment and stealthy river-walking techniques work no matter what country you’re in. And the best fishing is always off the beaten path! Adam: Wow, cool, there is the title of my second book, I just created it right here in your Interview, “Mountain Fishing Around the World” thank you Adam! Adam K: That’s a great title! I’m really looking forward to reading it!! I definitely would offer some tips to travelling fishermen… Don’t be deterred by language barriers, and use the Internet to meet people to fish with. Google Translate and the many other apps that you can download will solve this problem for you. At some points, I simply took out my phone and used these apps to communicate with people. It worked beautifully, and a great time was had by all. 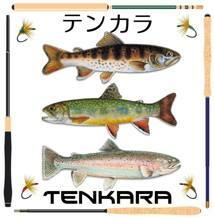 Facebook has a lot of groups for Tenkara. Its probably why I’m so active on there in the first place. The people I had been conversing with online ended up being people who either hosted me or connected me with hosts internationally. I still almost cannot believe how friendly, helpful and accommodating to me people that I barely knew were on my travels. I owe a great debt of gratitude to each of them, and I hope that one day I can return the favors and host them here in the states. I would encourage any travelling Tenkara anglers to make friends online, be active in the appropriate groups, and ask for help if you need it. Usually people are more than willing to lend a hand and that’s really something special about the Tenkara community. This is especially helpful when it comes to licensing abroad. Adam: I have been travelling out of a single backpack lately, all my fishing gear and clothes, it is so liberating. I’m learning more about the construction of good clothes. What fabrics wear well, are warm when you need them to be, cool when it’s hot, shed water when you need to be dry. Technical fabrics are efficient and their attributes are that they will perform a wide variety of functions. My rainshell and my DWR lightweight pants make up the “must haves” in my pack. Those two items perform a multi-variety of functions that I base the rest of my kit around. In my case, 1 + 1 = ½ and that is a good thing. Two pieces of clothing can reduce your pack volume and weight by performing a multitude of duties. The shell serves as a multi-functional barrier for wet and warmth, the lightweight DWR pants do as well. I can carry less with these two things than bringing waders and jackets. By layering performance clothing that I am already bringing instead of a single function bulky jacket. I can go wet wading in these pants instead of bulky waders. Speaking of wet wading, I know you use similar gear to mine, for me, it’s liberating and unless the weather is below freezing and the water is hard (icy conditions) I don’t need waders. Adam K: Yeah, it was great to see other people wet wading out west too! I think there’s a bright future for wet wading in the states actually. So to be clear for those reading, when we are discussing wet wading, it does not mean that we are just walking in the water without waders, bare-legged. Oh no. Fishing is not a competition for who can best handle the icy-cold water in the slightest. It seems that this is a common source of confusion and I’m so glad you bring up the topic of wet wading here. 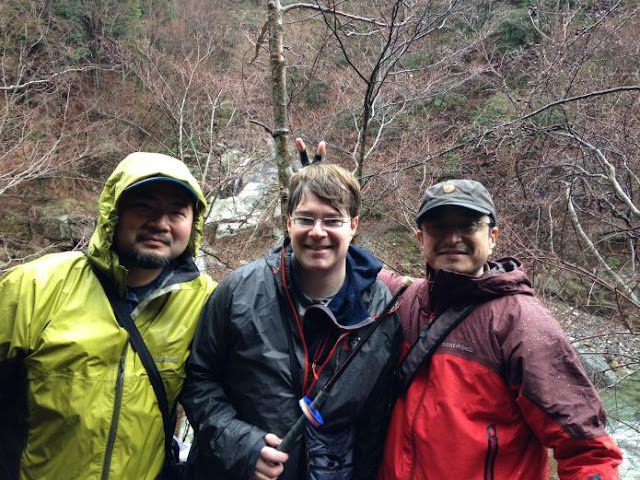 I learned about wet wading from the Japanese. The little presents wader-gaiters made a lot of sense to me. I figured why not couple them with a wet wading sock. But I ended up finding these a bit bulky and overkill, and I now use them during the winter as knee/shin guards over my western style chest-waders. As I mentioned before, I’m a little intense about researching things online. I was following a few Japanese Tenkara blogs, and ended up seeing a specific setup that caught my eye, made by a company called Foxfire. After a bit of googling I discovered that this was a Japanese brand, actually a Tiemco-owned company in Japan. When I visited Japan the next spring, my host in Japan, Go, helped to arrange a visit to a store on the outskirts of Kyoto and I was able to buy a set. This was probably the best purchase I made in Japan by far. Wet wading is a blessing in disguise. Gear can dictate proper technique, and vice-versa. When it comes to fishing small streams/mountain streams, you aren’t wading much. (And if you are, then by all means, STOP IT!) I’m only half joking there. Tenkara isn’t about standing waist deep in a pool, casting to the same spot over and over. In fact, I’d say fishing isn’t about that either! When you walk into the middle of a pool you just walked through all the fish. You just missed many opportunities to catch the many fish that are at the edge of the river and near the banks. Most fish don’t hang out in the main current all the time - they are off to the side. Yes, you can fish the seams of the run in the center of the deepest part of the river. But don’t start there, or you’ll miss everything between there and the shore. So this is why I find wet wading so wonderful. We only really need to keep our feet and legs warm up to the knee in most cases. There’s no reason that we have to stay dry. You don’t have to be dry to be warm, and there are so many benefits to this style of wading that I can’t even really think about how to properly put it into words. Just try it. You’ll be glad you did. All you need is a wet wading sock, the higher up they go the better, some gaiters or spats, and whatever wading boots you already own. With this you’d wear some synthetic shorts or pants that dry fast. You can roll up the legs so they don’t get wet. Its always so wonderful to step into the water on a hot day and let it cool you off. I’m done with sweaty-wader excursions. The chest-waders stay in the closet until the mercury drops and the snow starts to fall. 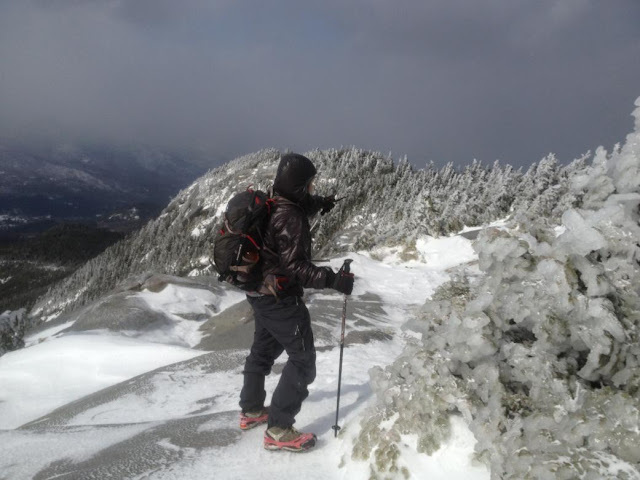 Adam: I’m not quite sure that most of the Tenkara anglers in the USA know about the specialized boots, the neoprene spats and gaiters/knee pads. If you are walking all day in a stream that is below 60 degrees, the neoprene keeps you warm, the DWR material just doesn’t hang on to the water and getting the neoprene socks off, your feet dry quickly and you just don’t get cold, even during cold days. I enjoy equipment that works well, so well you don’t have to carry a lot of stuff. What about Fujioka-san? I’ve known him for quite some time. I’ve been following and promoting his web site for longer than Tenkara has been around in the USA before it was introduced. He contacted me back in 1997 about his love of small stream fly fishing and I began to promote his web site, “Seasons of the Mountain Village, My Best Streams” back then. It’s the reason why I visited the historic villages. Adam K: Oh he was beyond great. I was really excited to hear him speak. It was pretty impressive that he did the whole thing in English. I hope everyone else could understand him, because I know it can be hard to really understand a heavy accent sometimes! I think the first time I visited his site was shortly before you and I started to chat online. I know you sent me back there again later to find something specific I had been asking about, and then I started trying to copy some of the patterns on his site for my trip. It was fascinating the way he broke down the flies by category, based on the length and stiffness of the hackle. I was so impressed with this “fly tying scholar” of sorts, and it was an honor to be able to meet him and see his work up close. The graphs and charts he created were mind-blowingly scientific and made me look at things a little bit differently. His site is such an incredible resource… we can all go and see flies by region that have historical importance to the history of Tenkara fishing! I’m not sure we even have something this in-depth in the states, even though we seem obsessed with all the different patterns we’ve got over here. You can download his presentation and data from the Tenkara USA site, and I recommend that everyone check this out. Its fascinating stuff. I also liked how Fujioka’s style was a true fusion of styles. Watching him on the water, I could see that he was part western fly fisherman, part Tenkara angler, and the remainder simply an insanely intelligent & thoughtful man. I would have liked to have spent more time talking with him and hope to get another chance one day in the future. Adam: We were chosen as winners at the Summit tying function, that was cool. I’m not so sure I deserved it because my fly was tied hastily and out of materials that I wouldn’t normally use. But then again, it would have worked, I use a fly like that when I fish so whatever, I’ll take it. Your fly looked great, I’m not surprised that you won. I looked at the other entries and yours rocked. Adam K: Thank you, that’s really nice of you to say. I’m humbled not only by what you just said, but in that I won at all. I thought I kind of messed my fly up a little bit because I rushed it too, but apparently it was ok. I’ve never really tied flies in public before like that, and I was also working with totally found materials, a borrowed vise and a borrowed bobbin. It ended up being a great experience. I love fly tying. I used to care a lot about how my flies looked, but then I learned that the fish just didn’t care. The more fish I caught and the more beat up my fly got, the more fish seemed interested in it. Now I tie ugly, buggy flies with stuff hanging off in every direction on purpose. In fact, most flies get the “toothbrush” treatment from a soft-bristled toothbrush before coming off the vise and going into my fly box. It works. When it comes to what flies I fish, I go through phases. I have my “one fly” days and my days of changing flies more often. These days though, I fish nymphs the majority of the time. And yeah, I love to fish bead head flies. I didn’t used to. In fact, there was a time when I secretly poo-pooed that idea when others mentioned it. I felt like I was betraying Tenkara. But after catching fish with Kebari and dries alike, I decided that there was no harm in branching out. I went through an experimentation period with bead-head flies last year and into this year. I started fishing stiffer rods. More fly manipulation. More “leading” the fly through the current than dead-drifting. This opened up a lot of new water for me, and caused subtle changes in my fishing that I believe resulted in a higher catch rate. This year has been good to me in both numbers of fish caught, and understanding of fish behavior. One thing is clear… bead head flies get you down to where the fish are all the time. They work in every country, in every mountain stream and on every kind of trout that swims. That being said, they require a different technique and I would not really call what I’ve been doing recently “traditional tenkara fishing.” I love it. 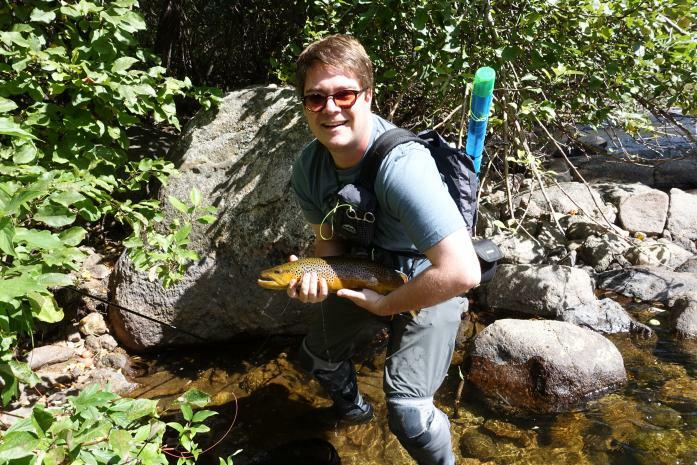 Adam: I have been focused on small stream fly fishing since I was a kid, seriously focused since the mid-nineties. I’ve studied the entomological approach through Gary LaFontaine and I can appreciate that but on small streams with a nice gradient, the fish just don’t care. I got my fly selection down to about five different patterns in the smallest Wheatley fly box. I’ve practiced that for twenty years, the minimalism in Tenkara is not surprising and it truly makes sense to me. Line choices are just as important as the fly that I choose. As a matter of fact, I think they both go together. My favorite Tenkara line is a #2 or a #2.5, about as light as I can handle, a level line in PINK. It’s what works, the orange stuff works pretty well too. Adam K: I’ve been a level line convert for the past year or two, but before that I fished solely hand-furled leaders from both Tenkara USA and Mike Moline. Now I tend to use a #3 level line on my more flexible “tenkara” rods, whereas I prefer a #3.5 or even #4 level line on the stiffer Keiryu rods I use. The knot at the end of the line becomes my indicator. I can change the length of the line as needed. The pink stuff is the most appealing to me, but I ended up switching to orange because I found it more visible. They all work, that’s for sure. Adam: I see that Go (Ishii) gave you a rod, that must have really been so special to you, I know it would have been to me. I can’t remember what rod it was, a Parrmark? Adam K: Yeah, actually Go Ishii gave me a couple of rods. They are gifts that I cherish and fish with as often as I can. I was totally shocked and honored to have been given anything, especially because I had already been given such great hospitality! Needless to say I use the Parrmark and the Daiwa Rinfu I got as often as I can, and they remind me of the wonderful times I had in Japan and the people who I was with when I got them. Recently I fought a couple of really memorable fish on that Parrmark, and it really sang while they fought and bent that rod to the core. Great feeling. I actually like using many different rods. I guess this is where I’m not a minimalist at all. I carry at least 2 rods whenever fishing, sometimes more. I like to have one softer rod that I feel falls squarely in the “Tenkara rod” camp in terms of how it casts and fishes; and I like to also have a stiffer rod, usually one that telescopes to different lengths, like a Keiryu rod. I find that his way I’m covered for pretty much every situation I might encounter on a given mountain stream, as well as being prepared to land fish of different sizes. These days I also usually prefer zoom rods… the small adjustments really make a lot of sense when fishing different currents across the stream, or for those moments you need more reach to hit that large waterfall or the head of a long pool. I get a lot of joy out of fishing many different rods, but right now, my favorite rods are made by Suntech – the Suikei series and the Kurenai series. They are really different. The Suikei is more of a Keiryu rod, while the Kurenai is pretty much a Seiryu rod. Suntech used to produce rods for another Japanese company, maybe it was Daiwa? Sorry, I’m blanking on this info at the moment. 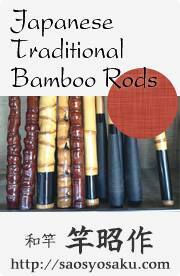 Now they make rods under their own name and they are the epitome of perfection and quality. They have extremely delicate and flexible swivel-tips and no cork handle. I love that. You can feel every little tap on the fly, each pull of the current and it gives you so much more control. I kind of wish Tenkara USA made a rod with no cork, I’d probably buy it right away. But I think that might go against some of Daniel’s beliefs, so I won’t hold my breath for that one. I respect a company that knows its audience, has a specific point of view and doesn’t just make one product for every different consumer. Speaking of which, I love the Tenkara USA rods too. I feel just a tad guilty that I don’t own one anymore, given that they were my first. I think the Rhodo is a pretty amazing all around Tenkara rod, and I’d use one any day. I’m sure I’ll be back to fishing these rods down the road, and I can’t wait to see what will come down the pipeline from TUSA next. Adam: I have just re-read the questions I’ve asked you, good questions on equipment and I can appreciate good choices in what we use on the stream. I want to move away from the typical Interview questions and try a little different tact. First off, how often do you find yourself using your reel and your old setups on trout water since you’ve gotten into Tenkara? And beyond that, what has Tenkara changed about your western fly-fishing, if anything? Adam: I started fishing Tenkara exclusively in 2009 and have not fished a reel in freshwater since. It has been a pleasure to spend a little time with you recently. I’m thinking we haven’t seen the last of each other, I bet that we get along famously as we move forward. As with most of my Interviews, I would like to offer you the opportunity to say anything that you want to here. Adam, thank you so much for your help at the Summit, I’m glad that I was able to spend a little time with you on the first night and fish together the next morning. Adam K: Adam, thank you. This has been great. I know we’ll be fishing together again soon, and I’m looking forward to it. I’ve already probably said too much, so I guess I’d rather take the opportunity here to say thanks to the people who have inspired me so far… either through encouragement, through their writings or doings, through their businesses that bring Tenkara to us, and through whatever means, I am grateful. This is a wonderful community full of friendly and helpful people and I enjoy getting a chance to be a part of it all. I’m looking forward to learning more, meeting more people, and fishing more new water. For now, thanks to my Father, who allowed me to see what nature had to offer, to you, Adam, to Chris Stewart, Daniel Galhardo, Go Ishii, Otani Tadashi, Kazuo Kurahashi, Paolo Cerrina, Roberto Genovese, Alan Petrucci, Chris Kuhlow, Greg Finger, Timberlock & Crew, the entire country of Japan and anyone else I might be leaving out here by mistake. (Sorry!) See you all out there on the water!